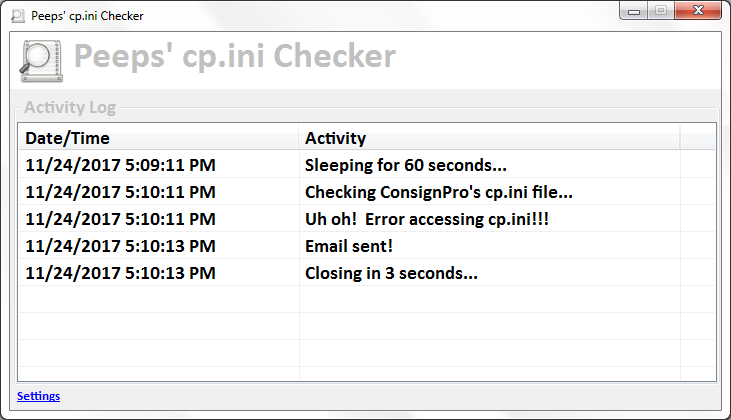 ConsignPro tries to rename its settings file from cp.ini to cp2.ini. It then tries to make a backup of cp2.ini and name it cpini.back. It fails to rename cp2.ini back to cp.ini. I don’t think ConsignPro should be renaming this file at all and I’ve outlined my reasoning in our original post about this issue. 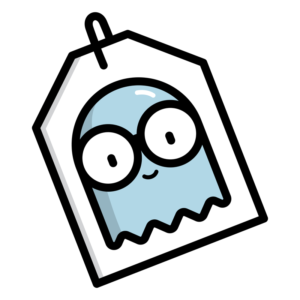 Does that cp.ini file exist. Can I restore a backup. Can I be alerted when that file doesn’t exist. So I wrote my own application that we schedule to run every morning, on every system, so I (and my client) can be alerted if there’s an issue that was caused by ConsignPro crashing the night before. It’s a very simple application, with a very effective result — alert me and my client before their store opens, so they don’t have to start their day off on the wrong foot. 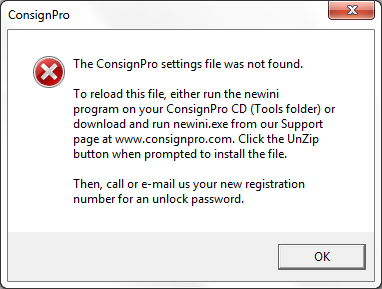 I don’t think ConsignPro should be renaming this file at all — it increases the chance for problems. I think there could be better exception handling done by ConsignPro. I think ConsignPro should keep redundant copies of the cp.ini file (like ConsognPro does w/ the consign.mdb file) and automatically choose the last-good file, if it’s not empty. For clients utilizing Peeps’ Support & System Monitoring services, I automatically deploy this utility on all of our clients’ systems that are running ConsignPro.